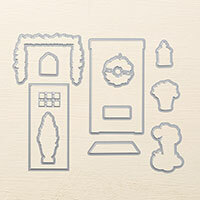 At Home with You Photopolymer Stamp Set by Stampin' Up! Versatile greetings and all-season images will make you feel right at home. Create a front porch scene for more versatility than you can imagine.